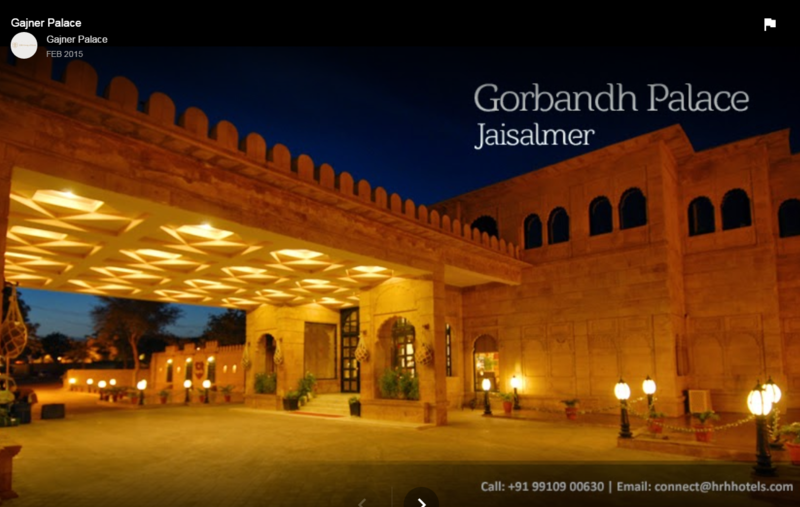 Gajner Palace Hotel is a 4-star heritage property that stands majestically in Bikaner. Spread across 6000-acre, the property is far-famed for its fabulous setting that is enhanced by majestic terraces and balconies. The hotel stands reminiscent of the bygone era and invites guests to experience the lifestyle of the royal people. Dungar Niwas, Mandir Chowk, Champa Niwas and Gulab Niwas are the four wings into which the hotel is divided. There are 13 Suites in Dungar Niwas and 32 Deluxe Rooms in Gulab Niwas. Decorated gracefully, all 45 rooms emanate charm with luxurious duvets, period furniture and appealing light fittings.